BY POPULAR DEMAND, ADDITONAL TIMES HAVE BEEN ADDED! 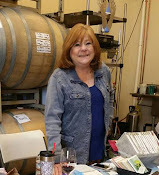 Sale-A-Brations in the mail from me? If not, call me (number below) and I will hustle one over to you right away! Bokeh Dot Technique, Take Two. I tried this in October and needed to practice to get it right. You say it like “Polka Dot” but it’s not a polka dot it’s a Bokeh Dot. (I originally thought it was like Bo-Kay, Oh! I don’t know!) Anyway, however you say it we are going to try to do it and it will be fun. We will also do a spotlight card featuring Dandelion Wishes from the Annual Catalog (definitely fun). We’ll make a sample and instruction card for each plus 2 cards each for each technique. Fee $25 includes a 6x8” scrapbook page protector that will fit into one of our customizable scrapbooks. Email: LFriedmanCrafty@Gmail.com or Phone (805) 217-3128 for reservation and location instructions. Coming attractions: February Workshops will include some spring and Easter holiday cards, Also from the Occasions Catalog. Free Product from Sale-A-Brations is thru March 31st. 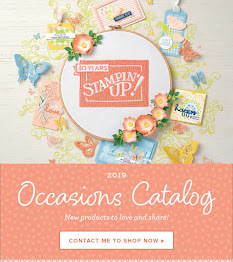 Want to get your Stampin’ Up! Supplies for free? If you cancel your reservation more than 48 hours in advance of the event, there will be no cost to you. If you cancel within 48 hours, you will be responsible for the class fee. You will receive the material packet with pictures (via email), to make your projects. Stamping will not be done for you, so you may need to adjust the project slightly using what stamps you have available. If I cancel the event, a full refund will be given of any pre-payment. All events must be half-full to avoid possible cancellation.